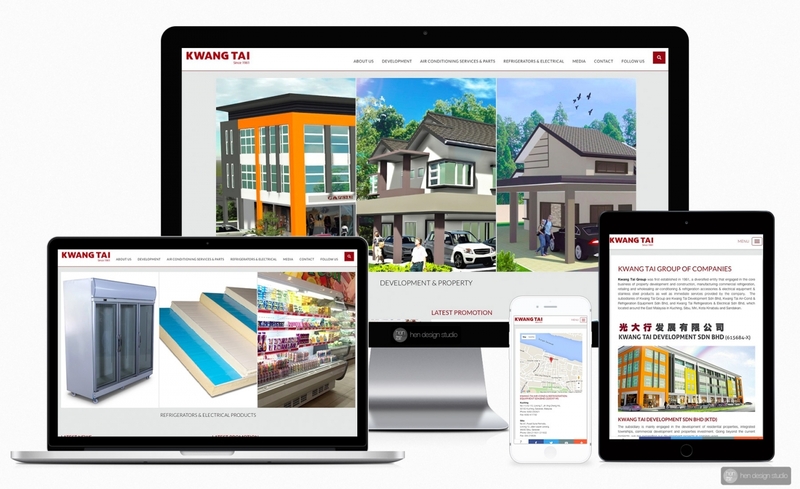 Kwang Tai Group was first established in 1981, a diversified entity that engaged in the core business of property development and construction, manufacturing commercial refrigeration, retailing and wholesaling air-conditioning & refrigeration accessories & electrical equipment & stainless steel products as well as immediate services provided by the company. Working together with local design agency – Conqueror Vision Sdn. Bhd. for the website design and setup, the layout is proposed by the design agency and we do the production part, to convert it into responsive layout that fit into smartphone/tablet/computer desktop/laptop device web browser. Fast loading, together with user friendly backend system for content updates.